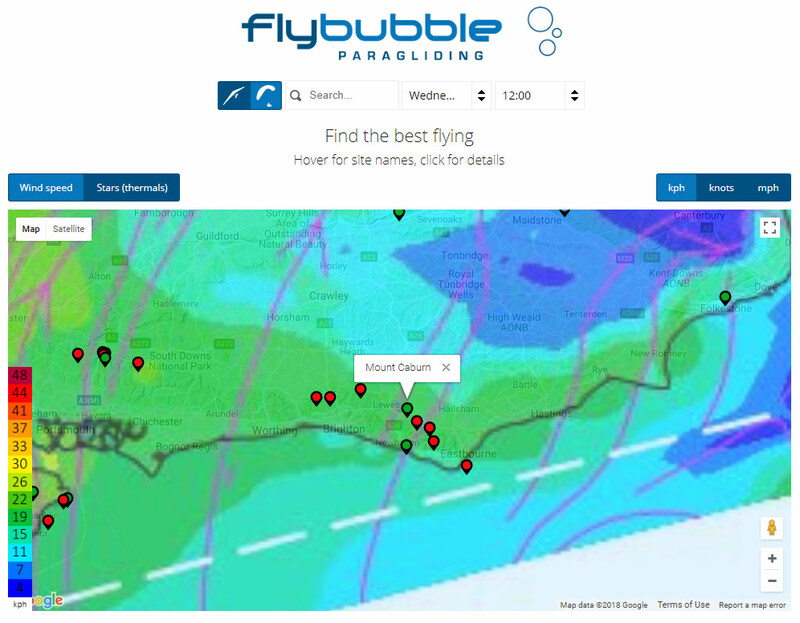 Blog - News - Find More Flying Weather With Flybubble! 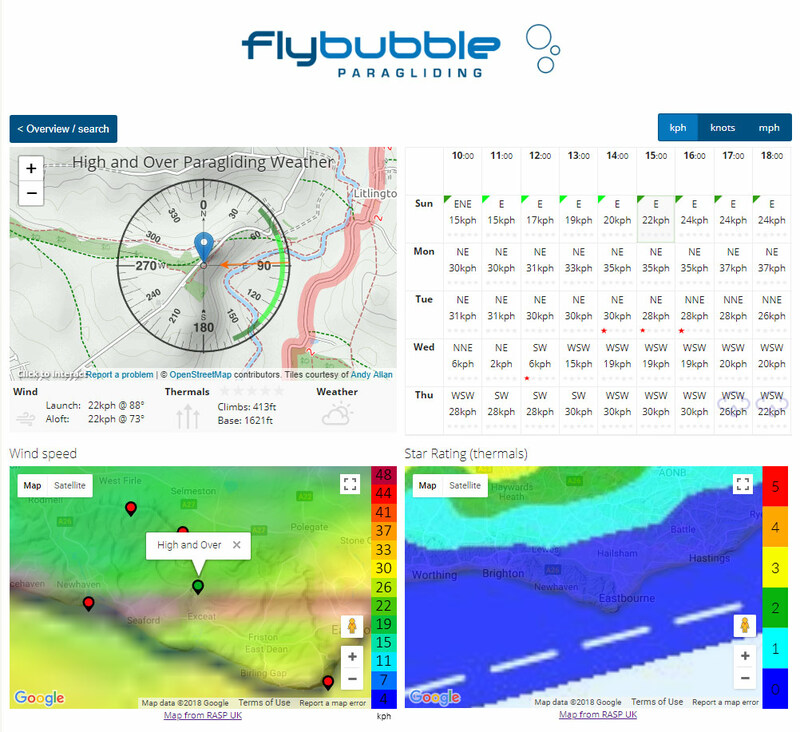 Find More Flying Weather With Flybubble! 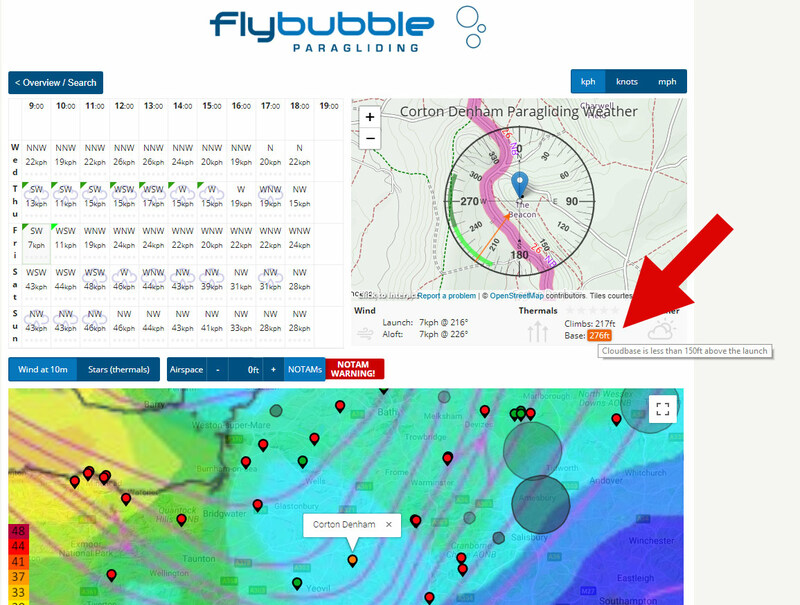 We’re delighted to launch Flybubble Weather, the innovative freeflight forecast tool developed by Caedmon Mullin and the Flybubble Crew. 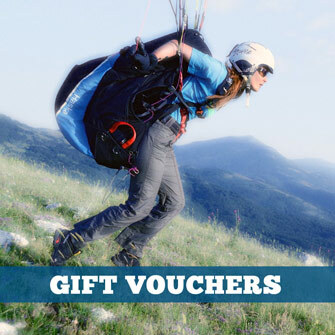 It’s designed to get you more airtime by making the flying decision simple. The unique aspect of our system is that it knows the range of flyable conditions at each flying site (and it can be updated, so it will improve over time to provide a reliable match between the forecast model and what really happens on the sites). Visit flybubble.com/weather to get started. To make a shortcut for your mobile phone, tap on Menu (top right) and tap Add to Home Screen. For your PC, try Bookmarks (Add New) or Settings (Startup: Open Current Page). We use your device location to centre the map (or the last site you visited). The map shows the wind at 10m above the surface. Blue and green colours are usually good for soaring paragliders. The site pins will indicate green for flyable, and red for not flyable. Alternatively, click on the Stars (thermals) overlay (based on the thermal probability and modified by the foot launched preference for lighter winds). Now you can get a quick overview of the best region to travel to for thermals. By setting the day and time (top dropdown boxes) you can quickly jump around to check up to 5 days ahead. Make sure the Paragliding toggle (beside the search bar) is selected (light blue) to ensure you don’t get blown out. The other way to use Flybubble Weather is to pick your favourite site by entering its name in the search box or by clicking its pin. You’ll be taken through to the site detail page. The topo map shows the main launch site and range of directions that are ideal (bright green) and possibly still flyable (dark green). Just below that, the wind is indicated at Launch height (10m above surface) and Aloft (boundary layer average wind). This helps you to judge if there is potentially dangerous wind above the site, or a big direction change (likely sheer turbulence). Thermals shows the star rating, Climbs is the likely top of your thermaling climbs (based on Ht of Critical Updraft Strength, see RASP for more info), Base is the cumulus cloudbase. Weather indicates the likelihood of rain. Top right shows the next five days at a glance: green ticks mean flyable, red stars indicate the thermal rating and when you click on a time box the rest of the page updates to synchronise the info. Occasionally, if the forecast is currently being updated, the map overlays will look ‘a bit off’ – you’ll notice the coastline doesn’t line up. Check in a few minutes for the latest info. How does the site decide if it’s flyable? While we do our best to make sure the forecasts are as accurate as possible you should always assess the conditions when you arrive at launch and decide for yourself if it’s safe for you to fly. Each site has a range of wind speeds and directions that we have been told it is flyable in (until we are told otherwise, these default to 7kph-25kph with an ideal range of 11-21). These parameters are set relative to the forecast wind (on RASP) and not the real wind on site. In other words, if RASP says NW at 20 kph, is it likely to be flyable at the site? Small sites are generally considered ‘flyable’ only when there is some wind. This also avoids the potential wasted time of going to a site with very light wind that changes direction. Large sites where it might be possible to soar a cliff or glide to a thermal, might be ‘flyable’ with less wind. Flybubble Weather works for hang-gliders and mini-wings too! 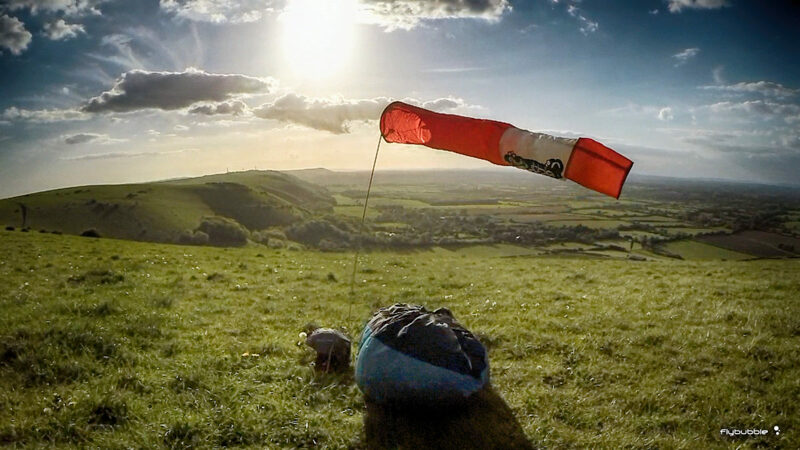 If you’re a hang-glider pilot (or fly a paragliding mini-wing or speedwing), click the Hang-gliding toggle on the main page to increase the flyable wind ranges (14-33kph RASP). Flybubble Weather only shows flying sites that are open to both hang-glider and paraglider pilots. Some restricted sites (hang-gliding only) are not listed on our website, so you’ll have to make your own judgement about them. On the overview page, tap the AIRSPACE button to show the overlay, then increase the height to show relevant info up to this height. For XC flying, the minimum recommendation is 3500ft, but if the day is good you’ll need to check higher. 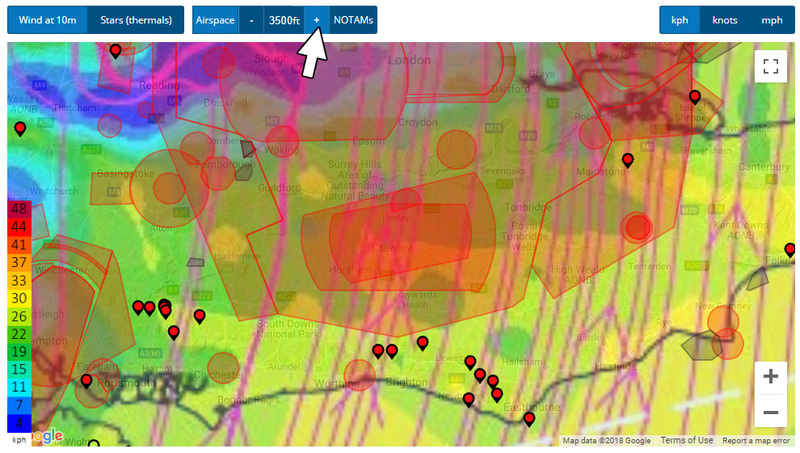 In the example below, most of the sites near Brighton have no XC potential because the wind direction will take you straight into the big red prohibited airspace areas around Crawley. Leaving the airspace layer activated helps you identify the best XC opportunities as you move through the week. Once you’ve decided on your site and day, make sure you tap on the NOTAM button to get a complete picture of the airspace. NOTAMS (or ‘notices to airmen’) are temporary additional airspace restrictions, usually covering a small area over limited time periods. They are very important! Often warning you of skydiving activity, formation flights, unmanned aircraft, lazer testing, you name it. Things you’re better off avoiding. Flybubble Weather will detect any NOTAMS that cover your site when you’re on the Site Detail page, and you’ll see a handy warning pop up. 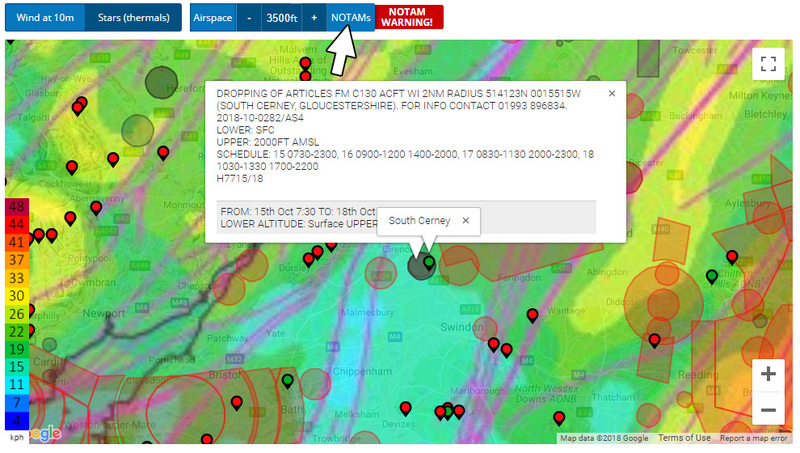 Click on the grey or red NOTAM area to get more information. Low cloudbase or strong winds aloft? If the base is within 150ft of launch, the site pin and ‘base’ warning will go ORANGE. If the predicted cloudbase is at or below launch, the site will be RED (unflyable). Simlarly, winds stronger than 24km/h (forecast) aloft is shown as ORANGE. When it gets to 30km/h+ (forecast) aloft, it goes to RED (unflyable) because in our experience there is very little chance of it being safe, but there have been many days we’ve noticed it still being flyable in the ORANGE zone. But it’s close to being blown out, so we thought you’d like to know. Remember this is ‘wind aloft’ (Boundary Layer average), not the ‘wind at launch level’ (Surface + 10m, RASP models the terrain). The launch level has lower cut-offs, which we adjust for each site. Hang-gliders have higher filters of 36km/h ORANGE and 45km/h RED for wind aloft. This is a labour of love for us and we’re always working on making it better because we want you to fly more. We’ve updated a lot of site information and continually improve the system as we receive feedback. We’re most interested about the match between forecasts and flyability, so if you get to a ‘flyable’ site and it isn’t so, let us know! Sometimes the pins go clear and the time slots will show ‘no data yet’, especially when RASP is updating early in the morning. Please be patient, as soon as the new spot data is provided we update Flybubble Weather. In the meantime, use the coloured maps (which update first) to puzzle it out for yourself. We will continue to enhance the flying forecast tool, and we welcome your suggestions. 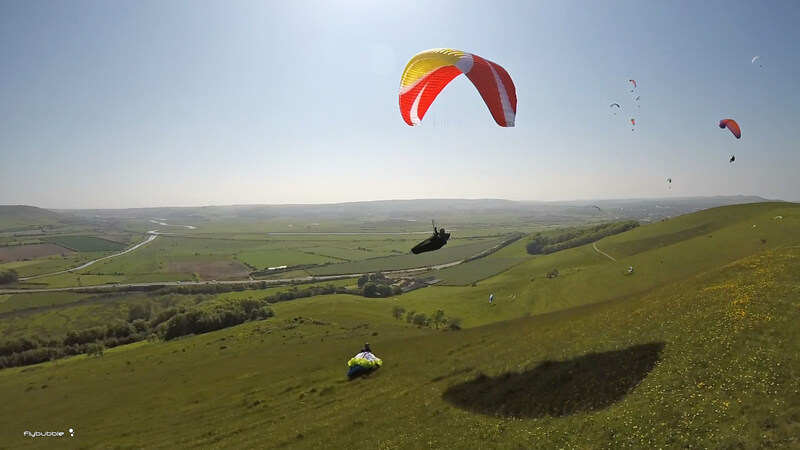 It is currently restricted to the UK as it benefits from the RASP forecast model which we have found to be excellent for paragliding and hang-gliding. It’s what our company is all about: helping you fly.